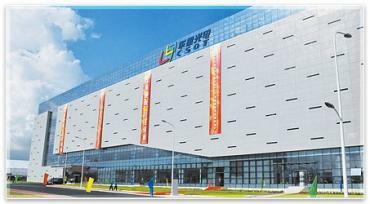 Semiconductor Energy Laboratory (SEL) has developed a high density OLED display (5,291 PPI) based on its proprietary CAAC-IGZO (C-Axis aligned crystalline In-Ga-Zn-O) backplane. SEL will discuss this new achievement at SID 2019. We do not have more information, but SEL has shown some high resolution CAAC OLEDs before. 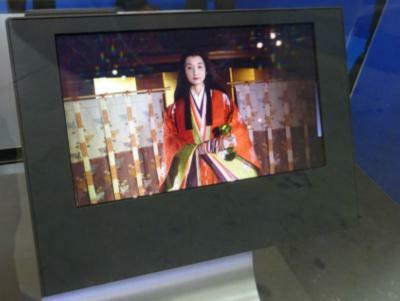 In 2014 it demonstrated a 2.8" 2560x1440 (1,058 PPI) WRGB OLED display. 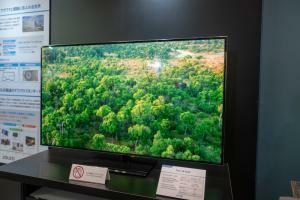 If SEL indeed developed a 5,291 PPI OLED display on glass it is very impressive. 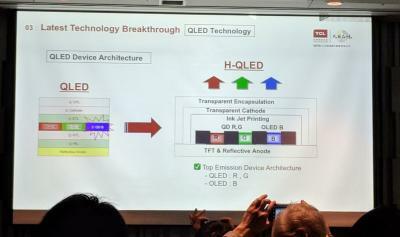 Semiconductor Energy Laboratory (SEL) demonstrated two new OLED display prototypes, both based on the company's proprietary CAAC-IGZO (c-axis aligned crystalline In-Ga-Zn-O) backplane material. First up is the world's smallest 8K display, a 8.3" OLED (1058 PPI) with a resolution of 7680x4320. The panel is based on a white OLED with color filter architecture. As expected, Apple launched three new smartphones. The 2018-2019 lineup includes the OLED iPhone XS and XS Max and the iPhone XR which uses an LCD display. 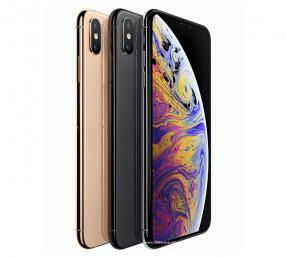 The iPhone XS is the successor to the iPhone X - this phone sports a 5.8-inch 1125x2436 flexible notch-type AMOLED display (produced by Samsung Display), 4GB of RAM and 64/256/512 GB of storage. In February 2018 it was first reported that Samsung Display is developing TV panels based on hybrid quantum-dots and OLED architecture (QD-OLED). Samsung later confirmed it is developing such technology, but with no immediate plans to commercialize it. 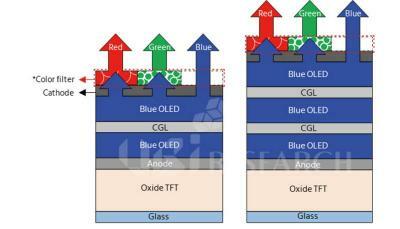 ETNews now reports that Samsung is now working to establish a pilot 8-Gen line for QD-OLED production. ETNews says that Samsung is collaborating with both Canon Tokki and Kateeva to develop the production equipment - apparently the OLED layers will be evaporated using Canon's machines while the QD filters will be deposited using ink-jet printing equipment made by Kateeva. Samsung aims to finalize the production line by the second half of 2019. 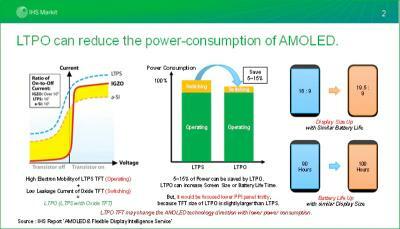 IHS Markit says that demand for Oxide-TFT backplanes has surged over 100% in 2017, led by both LCDs and AMOLED TVs. The demand is expected to continue its growth although at lower rates and will reach 6.8 million billion sqm in 2020 (up from 1.7 billion sqm in 2017). OLED TV Oxide-TFT backplanes shipments (all from LG Display) grew 106% in 2017 while demand for LCD panels (mostly produced by Sharp) grew 98%, mostly led by Apple's adoption of Oxide-TFT LCDs in its iPads and notebooks.